Karel Polacek was born in 1892 at Rychnov nad Kneznou, where he spent his childhood. Later, he lived and worked in Prague. In the period between two world wars, he was respected as one of the major writers of humour and satire. He wrote novels, short stories as well as screenplays, his work regularly appeared in the press. He became an editor in several newspapers, which he supplied with columns, court stories and news. In 1939, after he was dismissed from the editorial board of the Lidove Noviny newspaper for racial reasons, there was, in fact, no more future for him to expect. He had one daughter Jirina, who he helped, along with his girlfriend Dora Vanakova, emigrate to England. She was 18 at that time, and never met her family again. Polacek himself did not escape from the Nazis. He became an employee of the Jewish Council of Elders in Prague, and worked as a librarian. 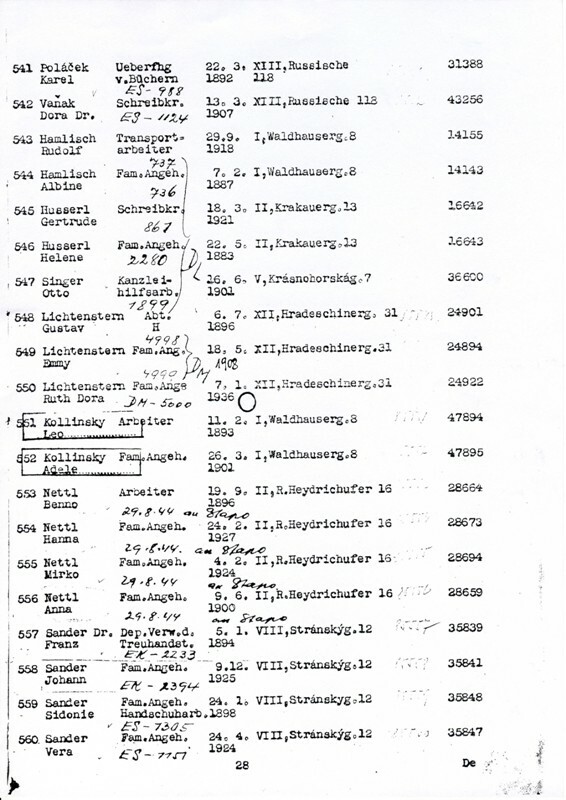 A group of Jews called “Bücherkommando” went around different places in the Protectorate, collected books left after deported families, and brought them into storehouses. This activity protected him from transports for quite a long time. He went to Terezin as late as on 5th July 1943 with transport De, together with Dr Vanakova. There are only scarce written documents about his Terezin activities. He is known to suffer heavily the camp conditions for his sensitive nature, not being able to get used to life there. His reflection on modern slavery, written to his inmate Milos Salus, shows that Polacek already feels a victim. “…Writers tell how noble personalities could once carry their chains with nobility. I observe how people in your surrounding carry their metal bowls, for you have to be carefully bent not to spill your soup…” It was Salus who made K. Polacek join in common activities and do something for other inmates. Intellectual activity sustained him alive. He became a welcome discussion partner for small and large groups, provided many young artists with critical advice, and became a desired lecturer. He was popular for his “Polacek’s humour” and excellent observations resulting from his former journalistic experience. 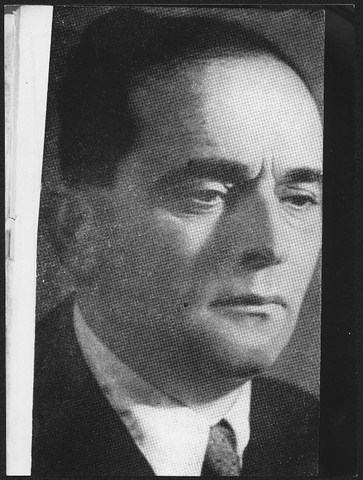 The singer Karel Berman said about him: “He was spare of words, but when he did a lecture, it was worth it.” The lists of lectures prepared for ghetto residents include for example the following Polacek’s titles: Witnesses of Court and Others, On Intolerance, From my Memory, On Poverty and Wealth, and The Residents of Terezin. Many prisoners who survived the war kept Polacek’s words in mind, however, full texts have disappeared. We know the last court story from Terezin, when Polacek was working at trials as an assessor, and should rather make light of the discussed allegations of his fellows. 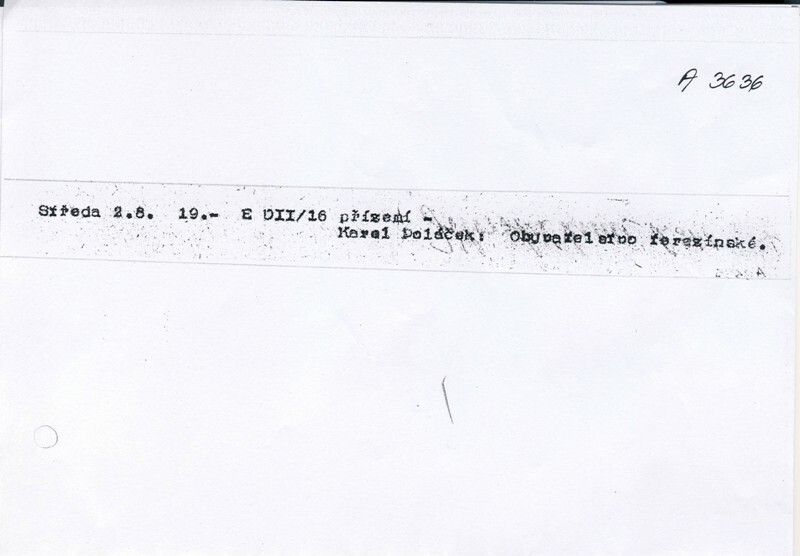 Karel Polacek and Dora Vanakova were put on the Osvetim transport Es on 19th October 1944. From there Polacek was taken to work in Hindenburg camp, where he is still remembered by his inmates around the Christmas time. His life ended in January 1945 during the death march from this camp to Gleiwitz. Introduction: the Terezin Bank served mainly as a part of the ghetto beautification process. It paid prisoners wages in worthless ghetto crowns. This operetta institution had its building with a vestibule and bulkheads, prisoners-clerks and a prisoner-director. 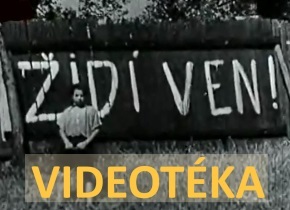 No wonder that this Terezin Bank director became the main character of Polacek’s court story. Judge: Do you confess to seducing here present prosecutrix under the promise of marriage? Judge: Thus, you promised to marry her, didn’t you? Judge: Well, why do you not marry her then? Defendant: But I do want to marry her. Judge: Er..then, what is your problem, lady? Prosecutrix: But he, Sir Counsellor, first made me believe that he was a c o o k , but I later discovered that he deceived me, ’cause he is o n l y t h e b a n k d i r e c t o r !